Do other people look up to you? A few of them do. They look sideways at me. What do your friends and acquaintances complain about you the most? I'm always giving out advice. Choose one of these options to lift your spirits. Who are you in a team project? What do you stay up at night worrying about? What is the most important quality in a romantic partner? You are either Si or Am. You are either Si or Am, the twin Siamese cats from Lady and The Tramp. You are who you are, and you don't care who likes it. You don't take any guff from anyone. If anyone tries to blame their messes on you, they'll be sorry. You also have a spectacular tail swish. 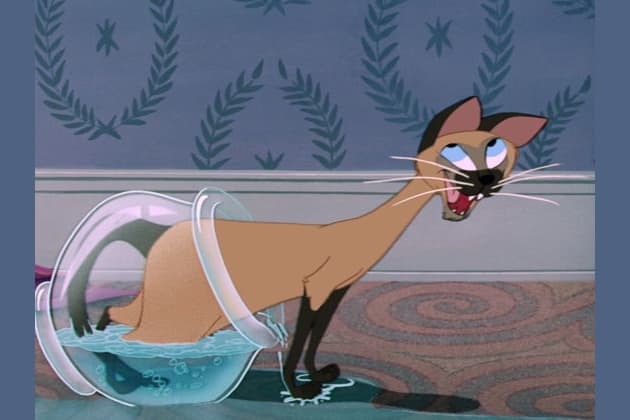 You are Thomas O'Malley the alley cat from The Aristocats. You are a cool customer with a serious case of wanderlust. You might stay in one place for the right kitty. You sip the cup of life with your fingers curled. You are one of a kind! You are Duchess, the beautiful lap cat from the Aristocats. You are sophisticated, talented and blessed, but when the chips are down, you can get downright scrappy. You have impeccable manners and are of good breeding. You are the mysteriously mad Cheshire Cat from Alice in Wonderland. You a sharp-witted, intelligent, and just a little zany You never do what anyone expects you to do, even if the expect you to do exactly what you're going to do. You are Oliver from Oliver and Company. You are a loyal friend, and you will always have your friend's back, no matter what! You've been know to get into a little trouble from time to time, but you always manage to get out of it. Most of all, you are good company! You are Rufus, Penny's faithful cat from The Rescuers. You are wise, understanding and a caring companion. You take care of other people before you take care of yourself. You want two things in life: for your loved ones to be happy and to take a nap. The answer will have you grinning like a Cheshire Cat.